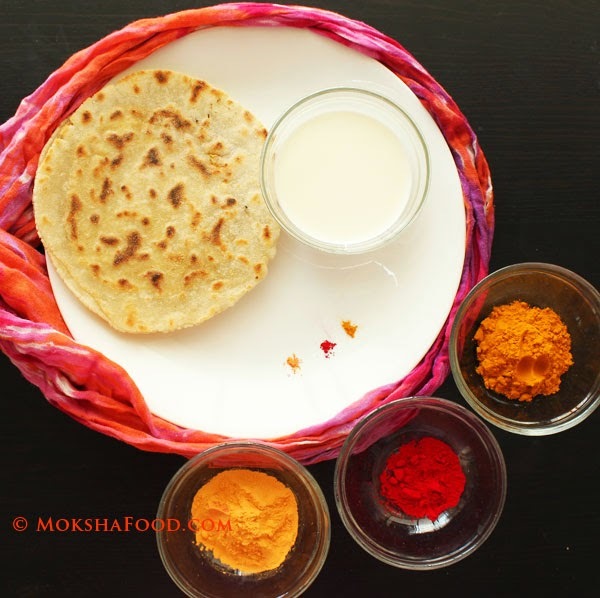 Torachi Uddamethi is another gem in Konkani cuisine and my personal favorite. Tora or Green raw mangoes are the main ingredient. It is prepared most often during the summer months when there is an abundance of mangoes. 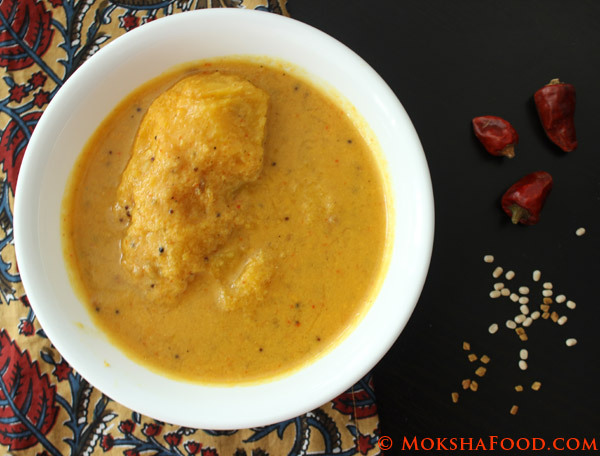 The base tones are made up of an unusual mix of urad dal and fenugreek seeds. I haven't seen this flavor profile in any other Indian cuisine. The non-vegetarian version of Uddamethi is made with an Indian fish called mackerel. Both versions taste great in their own way. I love the tangy spicy sweet flavors of this curry. 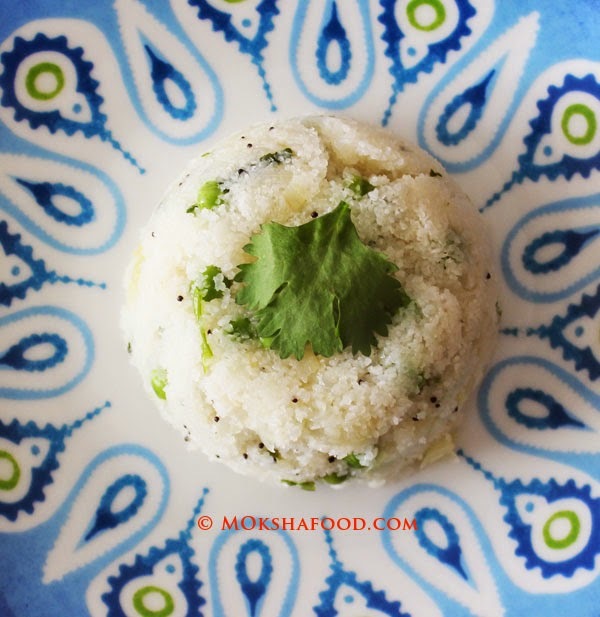 It can be slurped up with roti/bread or a side of rice. 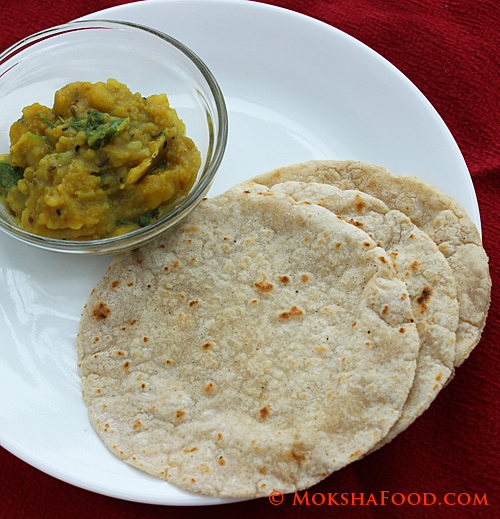 Temper it with mustard seeds, asafoetida, fenugreek seeds and urad dal. 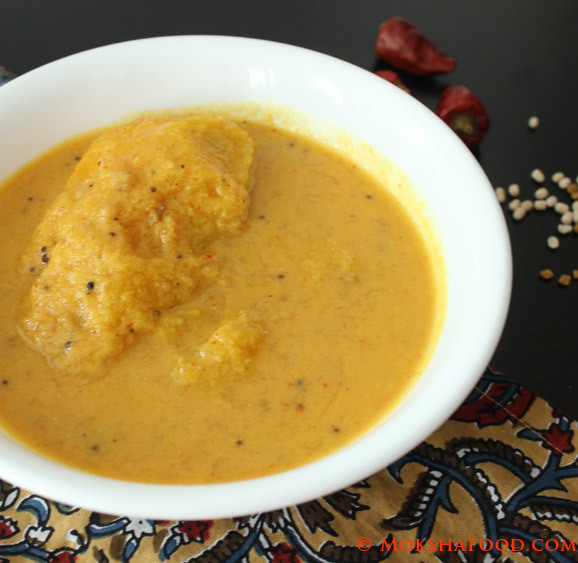 As the seeds crackle and urad dal changes color, add in the chopped raw mango along with its core. Meanwhile grind together the coconut, red chilies, peppercorns, tamarind and turmeric pdr to a fine paste. You can add little water if required. Add this paste to the mango and continue to cook it further. Finally add in the salt and jaggery. Simmer the gravy for 10 mins. Serve hot with a choice of your bread or rice.